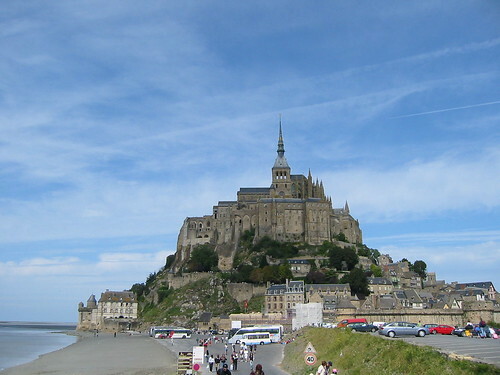 Visitors this week so a trip out to the most famous landmark in Normandy, the Mont St. Michel. Beautiful to look at, it is swarming with tourists from all over the world from June to October, which makes for an uncomfortable day if you're not good in crowds, but we didn't do too badly although my guests eschewed a trip around the Abbey which is really the point of the whole edifice. Read more about it at the official site here.